In managed care systems, controlling your organization’s destiny is easier if you’re prepared to create your own value-based delivery systems that bear financial risk. These providers explain why. For Arnie Possick, the growing need to adapt to new value-based health care delivery systems is part of a tradition of innovation in the aging-services sector that stretches back more than a century. “I always advise people to put things in perspective,” says Possick, chief strategy officer at Los Angeles Jewish Home, when asked about the prospect of going at-risk in delivering health services to their on-campus and community-at-large of close to 6,000. “The LA Jewish Home was started back in 1911 before there was any Social Security—no Medicare, no Medi-Cal. It was a time when the demand for senior services was growing. Society has always changed, and so has the senior community along with it. If we want to remain relevant to our constituency, we have to change too." “We’ve put ourselves through school to understand these models.” Los Angeles Jewish Home has seen a lot of change in the 108 years since its founding, but sees no reason to stick to outdated models. Photo by Steve Cohn. 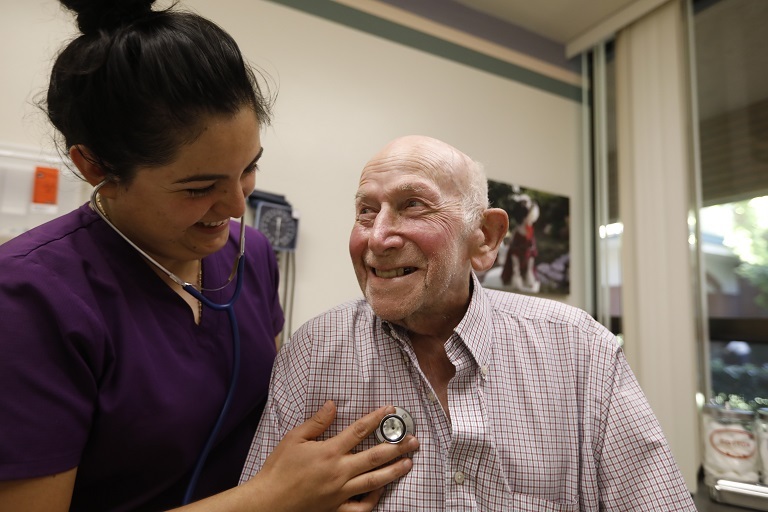 Los Angeles Jewish Home is one of a growing number of provider communities establishing their own managed care delivery programs. Many providers have long experience running Programs of All-Inclusive Care for the Elderly (PACE), and there is now growth in the establishment of provider-owned special needs plans to serve Medicare Advantage enrollees. 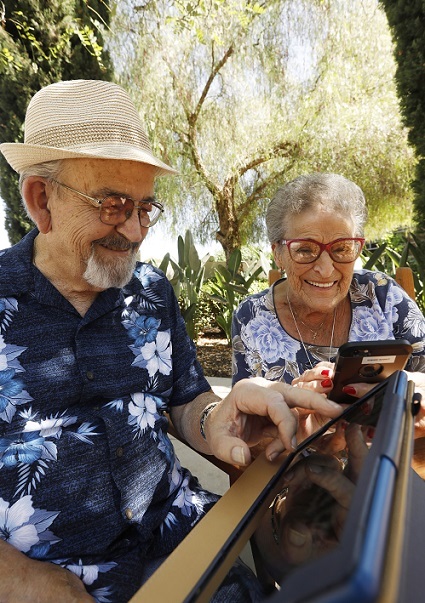 LeadingAge found that almost 75% of the 439 members who responded to a 2018 survey are participating in payment and delivery reforms across the spectrum of residents—not just for the low-income sector. This PowerPoint (link downloads a file) offers a useful summary of what was learned. “We wanted to control our own destiny,” reports Michael Rosenblut, president and CEO of Parker Jewish Institute for Health Care and Rehabilitation, New Hyde Park, NY, about his organization’s decision to deploy 2 managed care strategies more than 5 years ago. First, Parker Jewish Institute formed relationships with acute-care hospitals to work with insurance companies based on rates and lengths of stay. It also formed a partnership and owned most of a Medicaid managed long-term care plan and several lines of Medicare business, ranging from Medicare Advantage (with prescription drug coverage) to an I-SNP. On the provider side, it also works with Optum and other outside consultants that have relationships to help it with contracts. To this end, its work is data-driven. Parker Jewish Institute invested in data and software systems, and today owns its own proprietary data warehouse. Rosenblut says he never loses sight of the fact that individual outcomes are what’s important. As an example, Lorraine Breuer, Parker Jewish’s senior VP research & grants, cites the case of a 90-year-old woman in its bundled program who is legally blind. The member ended up in the hospital when she tripped over damage in her kitchen floor and broke her pelvis. 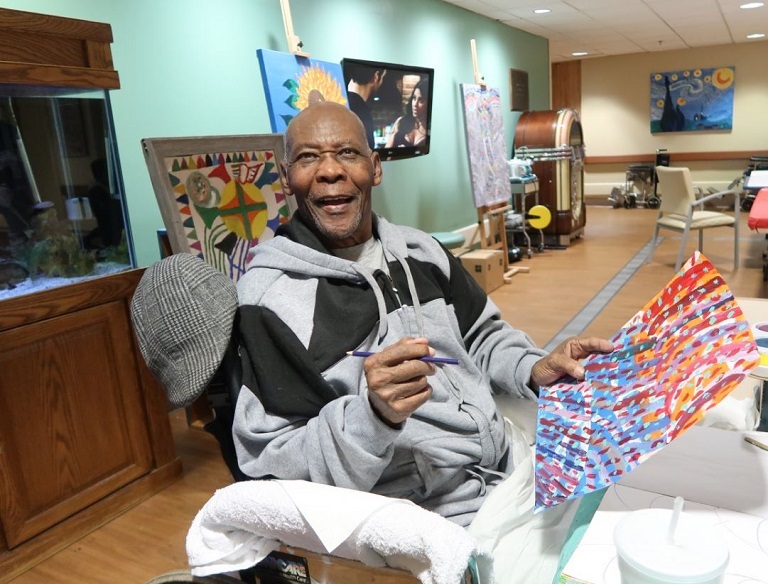 While in rehab, Parker Jewish arranged to have the floor repaired. The patient was adamant about returning and living independently at home, a transition she successfully made. Parker Jewish Institute for Health Care and Rehabilitation has been proactive about controlling its own destiny by participating in value-based care as a plan owner and a preferred provider. Photo courtesy of Parker Jewish Institute. Long-time models are indeed transitioning, according to Betsy Rust, practice leader, senior care strategy & operations consulting, for Plante Moran, a public accounting, tax, and consulting firm. PACE programs and special needs plans use capitated (fixed, as opposed to episode-of-care) funds for the health care costs of the individuals served. Senior care organizations, Rust says, are well-positioned to be successful in managing such costs because of their relationships with residents. However, she stresses, the real opportunity is to go at-risk and have the flexibility to think outside of the box. Life Plan Communities are in a unique position to control health care costs by addressing social determinants of health especially effectively. The PACE model is a good jumping-in point for some providers. According to Gong, PACE programs serve nearly 50,000 seniors in 31 states. Even so, that utilization represents less than 10% of the population eligible for PACE, which is capital-intensive to start. Gong says a new initiative to expand the program, PACE 2.0, aims to create significant growth over the next decade. Robert Greenwood, senior vice president of public affairs for the National PACE Association, notes that 96% of family caregivers who have had a family member enrolled in PACE would recommend the model. “About 95% of PACE enrollees are able to continue to live in the community. This is both the most cost-effective setting, and one that offers enrollees the highest quality of life,” says Greenwood. He adds that the operating core of the PACE model is an interdisciplinary team comprised of physicians, nurse practitioners, nurses, social workers, therapists, van drivers, aides, and others who deliver much of the care and services to enrollees. The team meets regularly to exchange information and solve problems as the conditions and needs of PACE enrollees change. A main goal is to provide quality primary, preventative, and even behavioral health services, to free members from having to seek care in an emergency room, the most expensive point of entry into the health care system. Possick says Los Angeles Jewish Home opened its first PACE program in 2013 and has never looked back. Since then the organization’s independent physician association has contracted with several managed care health plans to offer a variety of Medicare Advantage and special needs plans to residents. plans to residents. Photo by Steve Cohn. Rosenblut advises communities to take the plunge. He says that when new opportunities become available, his community wants to be included. “Sometimes you don’t know what model is going to work; some haven’t. But any time a demo project comes up from the state or feds, we try to get involved,” he says. On the insurance side, Rosenblut notes that an organization must have financial reserves on hand to meet the demands of “good and bad days.” He also credits the “forward-looking” board of trustees, which he calls progressive and nimble in its decisions. John Mitchell is a writer based in Cedaredge, CO.